Renovus Solar is bringing community solar to central New York, with plans to provide over 12,000 households and businesses access to solar power in the coming year. Community Solar opens the doors to cheaper, cleaner power to virtually anyone who pays an electric bill including homeowners, renters, and businesses. Centralized ‘Solar Farms’, located on local sites with perfect solar conditions, serve hundreds of customers, and without the restrictions that have previously prevented people and businesses from installing solar on their rooftops. For years, the environment for solar has been improving, with exponential growth in installed solar in the past year across the state and country. Costs have fallen dramatically and Federal Tax incentives have been extended, most customers are able to switch to solar for less than they currently pay for electricity. Now, with landmark community solar legislation in place, New York has set the stage for a mass adoption of clean energy statewide. 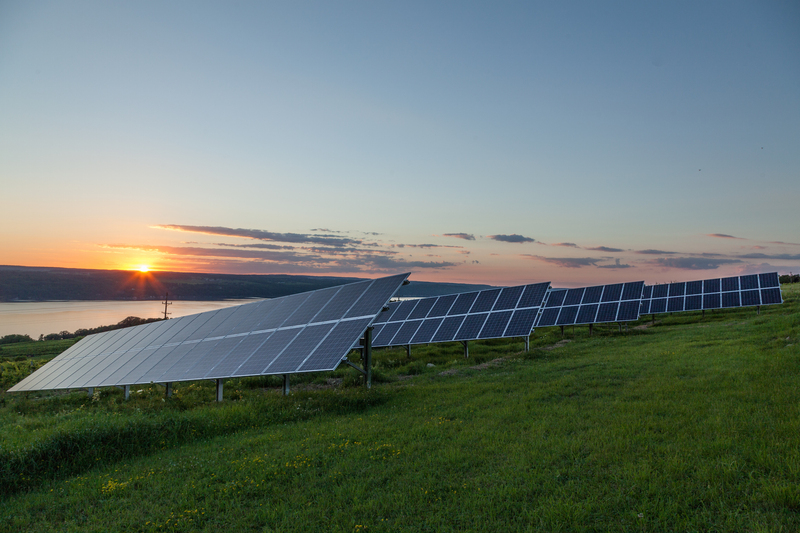 Renovus Solar has constructed the first three Community Solar Farms in New York State, with more projects currently underway. These solar farms are commercial scale projects, and although they look like one large system, are actually the individually owned solar systems of dozens of local residents. The power these systems produce offsets their owners’ electricity usage, often completely eliminating their bill. Owners of solar systems located at the community solar farm have essentially purchased their next 30+ years of electricity, for a single upfront price and will begin to see return on their investment immediately. Most solar systems pay for themselves in savings within a decade, if not sooner. Going solar is no longer just an environmentally responsible choice – it’s extremely financially compelling, due to the significant drop in the base price of panels combined with the strong rebates and tax incentives available.